The battle for train safety through keeping the guards has won a big breakthrough but it’s not over, and further negotiations this Tuesday/Wednesday could either lead to more concessions and a settlement or revived strikes – and either way, much debate amongst rail workers. 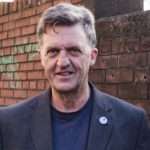 – the leaflet tries to puncture some of ScotRail bosses’ latest lies, assess what the marvellous strikes have achieved so far, and – critically – carefully point towards the tactics needed to win more as talks continue. 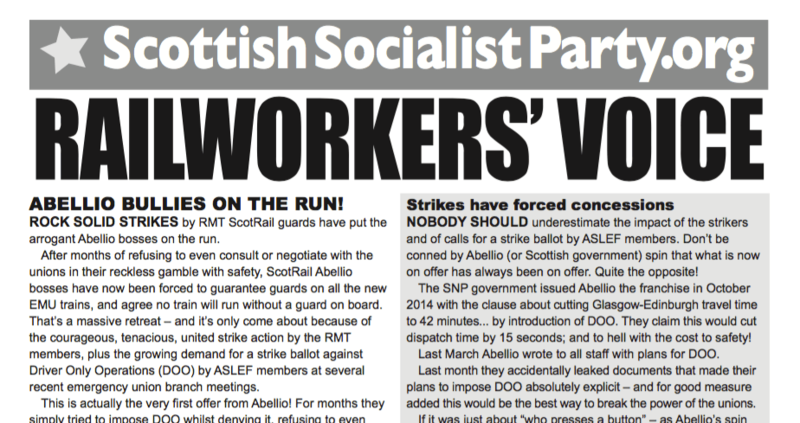 – it unashamedly highlights the track record of the SSP compared to the SNP, including the role of our comrades in ASLEF, as hundreds of rail workers see through the SNP and express their admiration for the role of the SSP in the battle to keep the guards. My appeal to you, personally, is to circulate and use this amongst Scotrail workers (guards/conductors, drivers, ticket examiners, station staff, signalers – ANY grades) as swiftly as possible – this weekend if you can – as the immediate battle sits on a knife edge.